Our recent trip to Long Beach, California would not have been complete without a dip into the wonderful world of the Pacific Ocean courtesy of the, “Aquarium of the Pacific”. This aquarium is literally one of the best I have ever visited. It was riveting from the get-go. The Visitor Information Assistant told us it would take approximately 2 hours to go through the entire building; we took 4 hours. I don’t know the names of all the phenomenal creatures you’ll see in this post; however, I think some of them might allow for our creativity to name them as you wish! The above photo was a delightful array of colorful fish and seascape (for lack of a better term). I included it in this post because it turned out so clearly! Apologies in advance for the less than stellar quality of some of the photos. 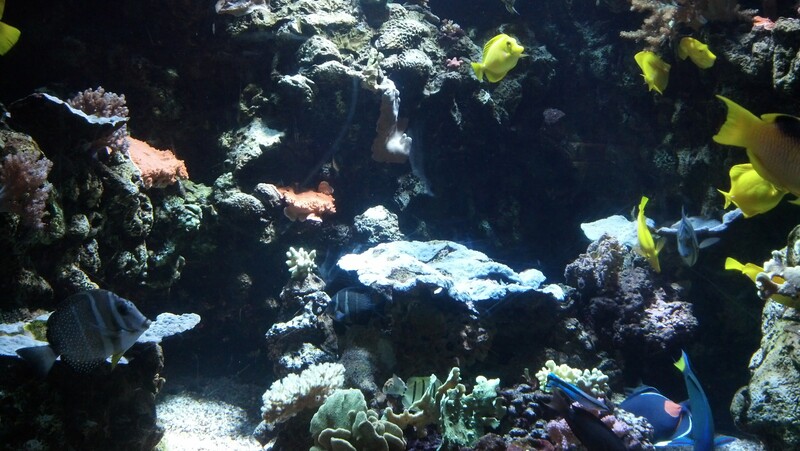 The aquarium has a muted lighting in order to see the lighting in the tanks. Well hello there, smiley, yellow swimmers! 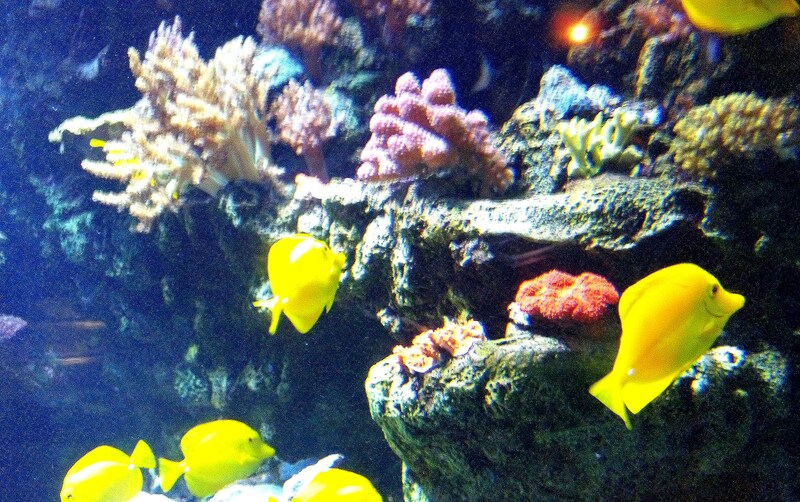 How can you not smile when seeing these bright and chirpy-looking fish? 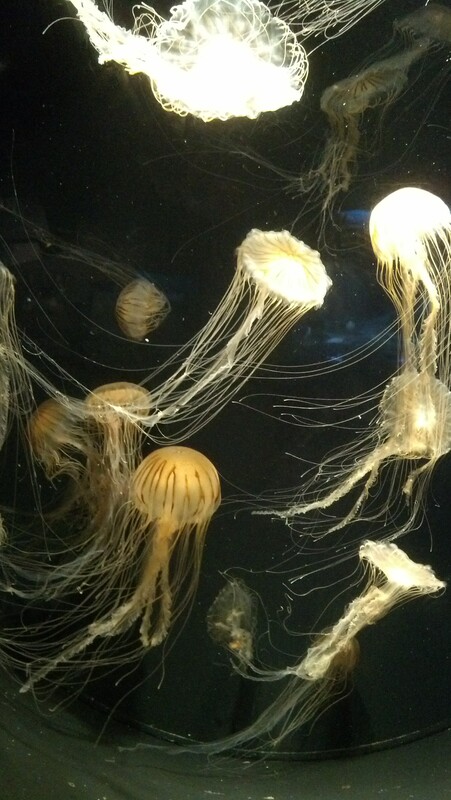 I was mesmerized by these graceful creatures. They seemed to have their own dance numbers, almost in a synchronistic fashion, which I found enchanting! Have you ever seen fish as unique-looking as these? It appears as if there is a dragon’s den under the sea after all! Look at this dear soul! He was as engaging with those of us on this side of the glass as he was with his tank mates! 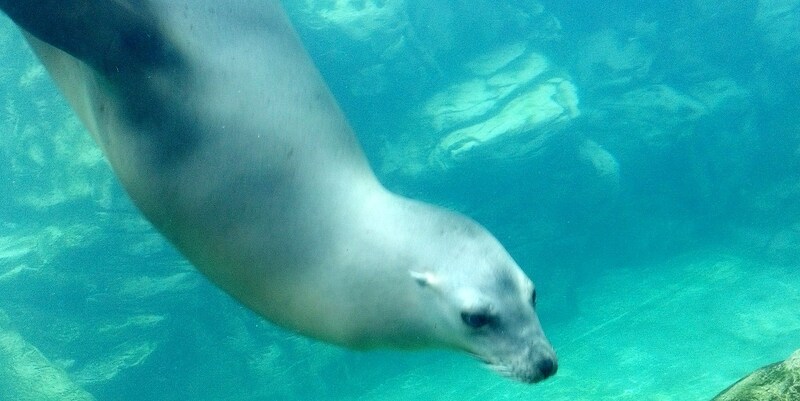 Sea Lion I believe? No roaring from this gentle giant!! This was a spectacular sight! Another jellyfish variety. Gliding with grace and agility. Now this guy takes the cake (figuratively, not literally; or at least not my birthday cake from yesterday anyway)!! This creature literally (to me) was the strangest-looking in the entire aquarium. 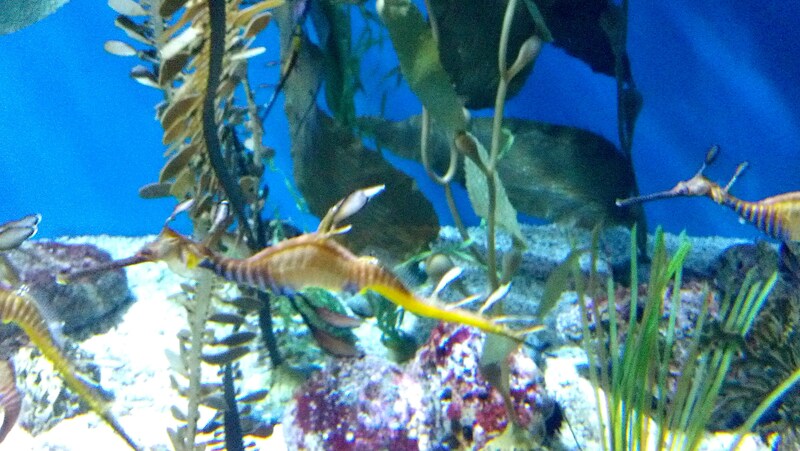 It actually appears to look like seaweed (which I truthfully thought it was until I moved closer to the tank). There is a lot going on with this eye-balled seaweed, wouldn’t you say? 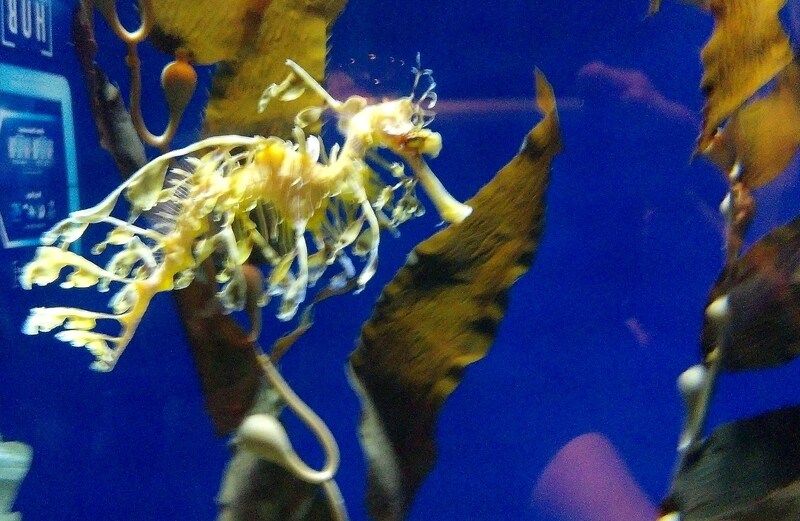 These seahorses are not easy to see clearly, but I hope you get the idea. One of my favorite creatures of the Pacific Ocean. (Now I am being downright ridiculous, but I rather think they’d look interesting with a little horse saddle)! Ah, more luminescent lovelies! Floating wherever they choose, these jellies were spellbinding to watch. The Aquarium of the Pacific has created such a breathtaking atmosphere for each and every fish and sea creature environment! 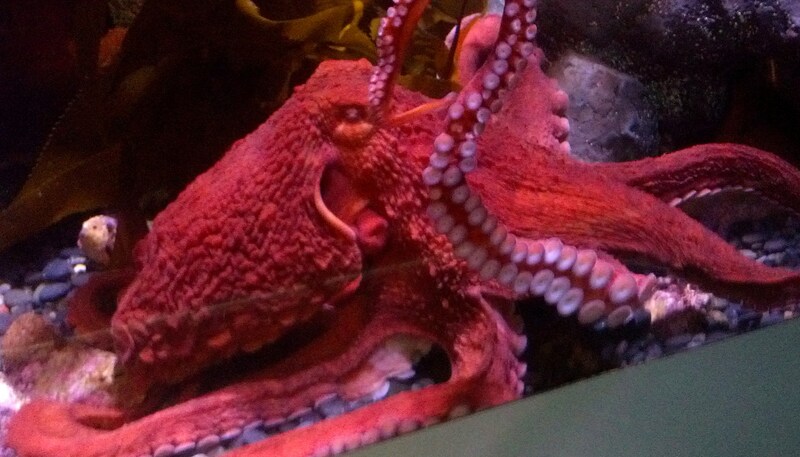 I was fortunate enough to snap a quick photo of this rather shy octopus before its suction-cupped tentacles maneuvered it to the back of the tank and out of sight. I appreciate the photo-op, Ms. Octo! 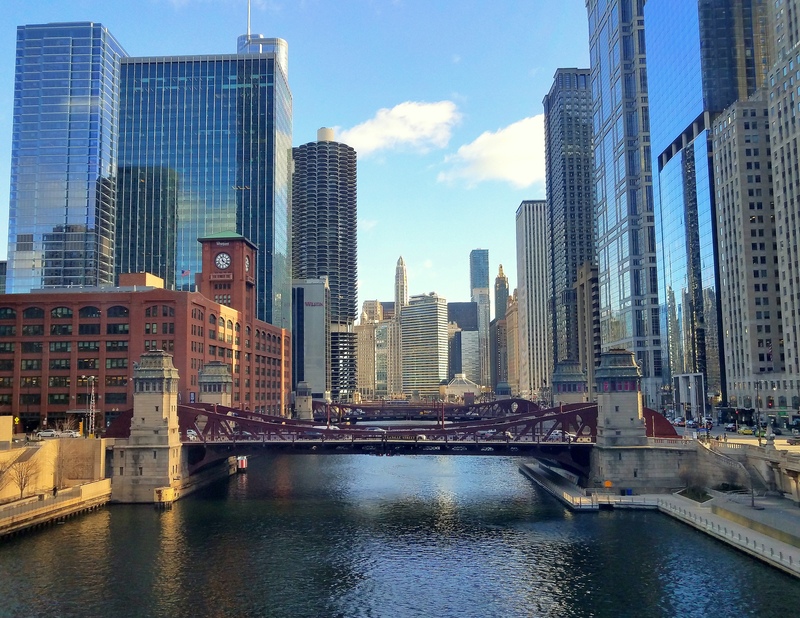 Talk about a fascinating experience! These gentle stingrays were only too pleased to oblige the curious humans with many dives up to the top of the tank for a gentle pat on the back! 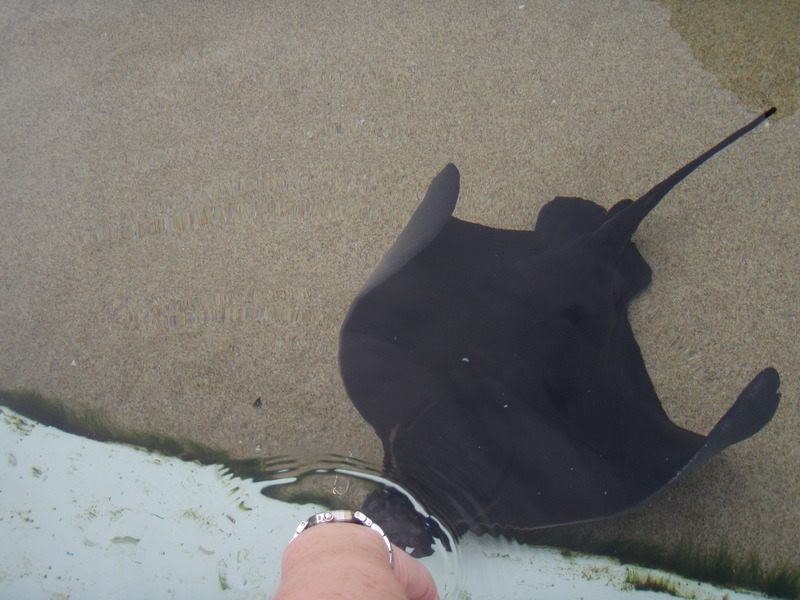 We were told to use two fingers and carefully glide them across the back of the stingray as they slithered by us. Having no stingers (they have been removed) there is absolutely no danger whatsoever interacting with these interesting and engaging creatures. Apparently the one reason they would ever attack anything is if they felt they were in danger. Otherwise, they are quite passive and enjoy the opportunity to literally reach out and touch someone (or rather, let us touch them). These delicate-looking creatures had long whisps of hair-like something or other dangling from their backs (or their fronts; hhhmm, rather difficult to say, really). Another magical moment for me at the aquarium. So there you have it! 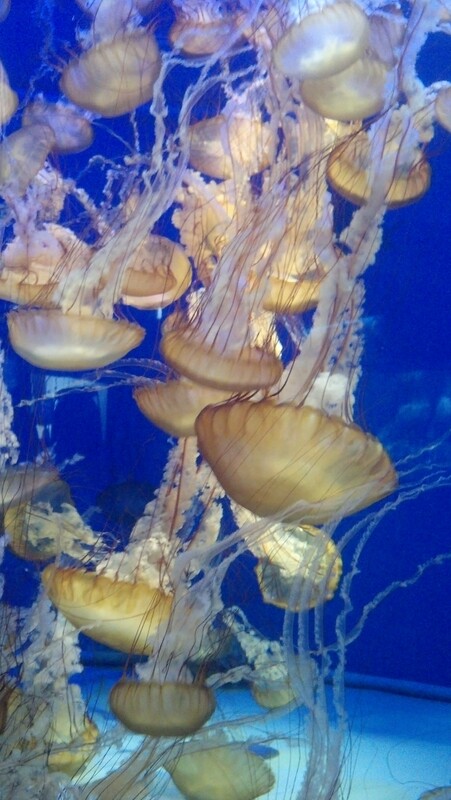 I had a marvelous time getting an up-close perspective of some surreal Pacific Ocean dwellers. After I left the aquarium, this thought came to me: what on earth are they saying about those of us staring at them? Perhaps it might sound something like, “Did you see that one, Stella?” “It didn’t have any tendrils, glowing heads, or fancy dance moves.” “Humans…………they’re really all alike!” Indeed ocean wonder, indeed. ← After Birthday Post – And Then There Was Cake! The pictures are awesome. I love the jellyfish and the seahorse! Thank you, Joan! I love the jellyfish and the seahorse, too! 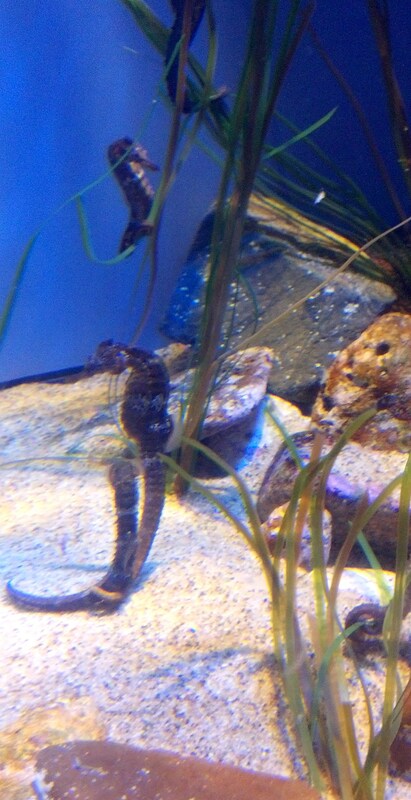 It’s really interesting when the seahorses seem to be staring! Yes, and they seem almost like mythical creatures, don’t they? Yes it does. Perhaps a future thing when humanity learns to have a relationship with all. Beautiful Captures 🙂 Happy Weekend – Enjoy! I thoroughly enjoyed your photos, Cher. Thanks so much for sharing these fascinating creatures with us. 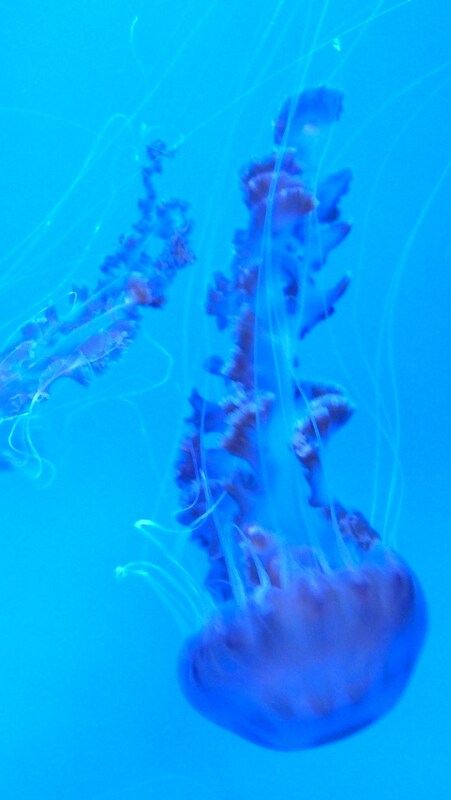 I always spend longer in museums (aquariums, zoos, et cetera) than even the longest estimates suggest. One time in a museum on Singapore’s Sentosa Island a docent came up and noted that the museum had technically closed 45 minutes ago so if I might hurry along it would be appreciated. The experience did leave me feeling like I ought to get something from the gift shop, and I was so relieved that I was not the only person still shopping. I know that I bought something, though I can’t remember what now. Well, it was nearly a decade ago. Probably it was a book of postcards or the like; that’s my default gift shop purchase if everything else seems uninteresting. The pictures are good and they could be used, if I needed. 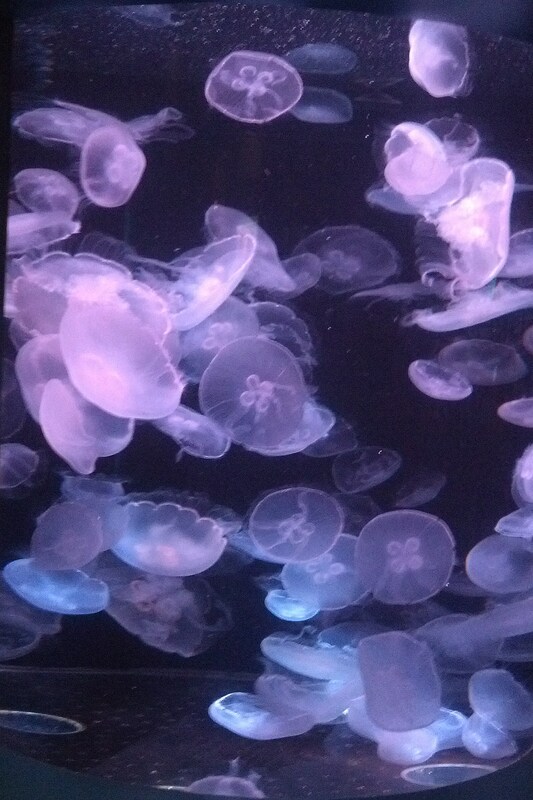 I have never seen jellyfish that many in the ocean – thankfully, because I think it won’t feel nice to get stung by them 😀 Seeing them that many is actually pretty cool – and perhaps it is better looking at them in the aquarium 🙂 Looks like you had a wonderful travel! I am so glad I never deleted this post (as I did with a huge backlog from when our internet was down), it was so beautiful and mesmerising. Thank you.